We recently acquired a fabulous Roanoke with wonderful red toning! 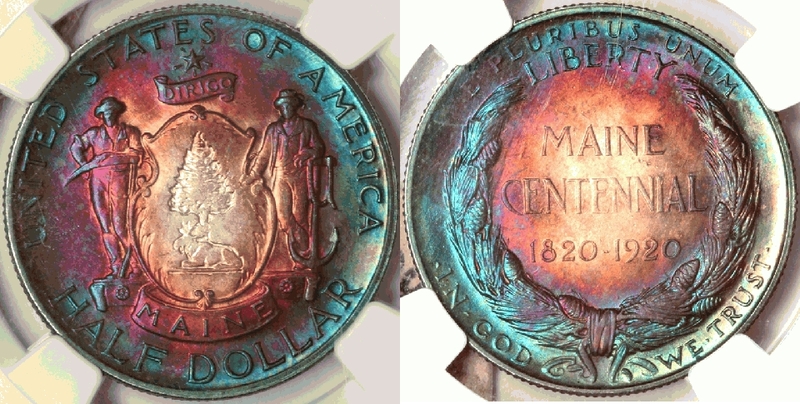 NGC states that this was artificially toned. I don't know if it was or wasn't, but I do know it looks beautiful! Was $600. at the Royal Canadian Mint, only 5,000 made, each purchaser was limited to two.